10th Multicultural Expo 2018 – AMS Inc.
We started the 10th Multicultural Expo date on time at 12 noon on Sunday 5th August 2018. After a brief welcome from me as the president of AMS, the New Zealand National Anthem was sung by all, led by two people from each performance group who were on the stage with me. Vivian Chow was invited on to the stage to say a few words about the recent Viva Eclectika challenge trophy.The overall winning team of Indian Classical Dancers and Bulgarian Roses performed their dance for the audience which was highly appreciated by all. 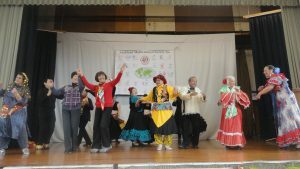 Then our MC Maggie Quinlin started the programme proper with Bulgarian Roses, which was followed by Love Dance from China. 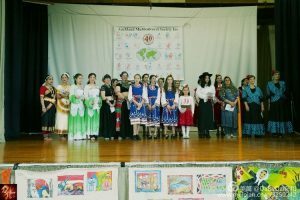 We had 24 performing groups this year and the audience of about 500 through the day were highly entertained. This year’s show had two new types of performance: a Martial Art sword display and a Magic item. We also had 14 stall holders who promoted their cultures and some got up on the stage to speak about their stall. The National Council of Women New Zealand Auckland branch held an information stall as they are celebrating 125 years since women got the right to vote and 100 Anniversary from the NCWNZ Auckland branch. The Pacific Women Watch also hold an information stall, they are in the process of Auckland become the UN Convention on the Elimination of all form of Discrimination Against Women (CEDAW) City in New Zealand. We also had Middle East and South American food stalls where people could buy food throughout the afternoon. During the afternoon we had Michael Wood MP for Mt Roskill to say a few words, in which he praised the Auckland Multicultural Society for putting this event on every year and giving the opportunity to the cultural groups to show their culture. He particularly singled out Ana Maria de Vos Sanchez for her hard work organising this event. Priyanka Radhakrishnan MP also spoke briefly. Shail Kausha, a local Board member for Auckland Council also spoke briefly about the council and said that the council appreciates the work the AMS does with the ethnic community. 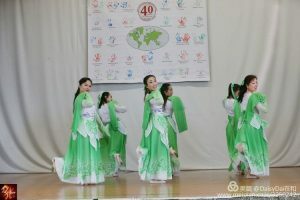 The whole afternoon was enjoyed by all those who came, and some of the performing groups also got the audience to participate in many dances. We finished up with Folklore Chileno Latino who also invited everyone to participate. It was a rousing way of finishing the day. In the end, I closed the event by calling the executive committee on to the stage and publicly thanking each and every one for their tireless efforts to bring this successful 10th Multicultural Expo 2018. I said that we look forward to next year’s Expo. I also stated our next event will be in March 2019 at the 22nd Lakeside Multicultural Festival 2019 at the Pumphouse in Takapuna.